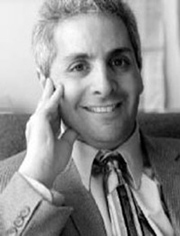 Michael J. Herman is a nationally recognized expert on motivation, inspiration, leadership, and sales, by the National Speakers Association. Then learn more about what Mike can do for you. - Guaranteed! Please fill in and submit the form below and I'll share with you some of the secrets that have created my enormous success. And, I'll share it for FREE! "Michael J. Herman proves that miracles do happen. I enjoyed his writing and he inspired me. America needs more Americans like Mike to demonstrate the American Spirit of overcoming the toughest of obstacles." 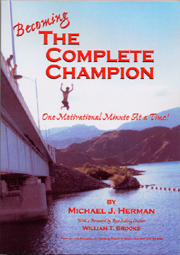 "Michael J. Herman can motivate any body to do just about anything." "He gets you going! He get in your face, and he makes you realize your true potential! He's the best motivator I've ever seen!" - Jill Barad, President & Chief Executive Officer, Mattel Toy Corp.
"It's one thing to talk a good game, but Mike Herman's motivational attitude gets you going and doesn't let up until you're goal is complete. He pushes and keeps pushing to get the best results you can deliver!" - Maurice Greene, Olympic Gold Medalist & "The Fastest Man Alive"
"When I read 'THE MOTIVATIONAL MINUTE!' I am reminded daily that everything I am capable of becoming, is simply a matter of manifesting my most powerful assets. I run my airline better, I treat my staff with more respect, and I take it home and love my family more completely. Life and job are better because of 'THE MOTIVATIONAL MINUTE!'" "Thanks for the incredible program you did at the national sales seminar! I've already seen tremendous results from the specifics you had us implement. I feel like I've found a new beginning with real hope for achieving my long and short term goals." "In his hour-long program, Michael engaged and enthralled our guests with a mixture of life experience, humor, and practical advice, sending them back to their homes and workplaces to Be Amazed."